Our Lady of Mercy Catholic School strives to be the best private school in Pohnpei. We’d love to hear from you and will be happy to answer any questions you have. Fill out the form below and our staff will be in touch with you shortly. If you have a more urgent question, please contact the school office at 320-2888. 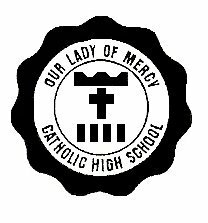 Our Lady of Mercy Catholic High School is the premiere Catholic high school in Pohnpei. Follow us on Facebook for more news, information, and photos from the school. Learn more about our school and our admission process.